Amy Marie created Spring to match a poser of the same name from Designs By Norella. 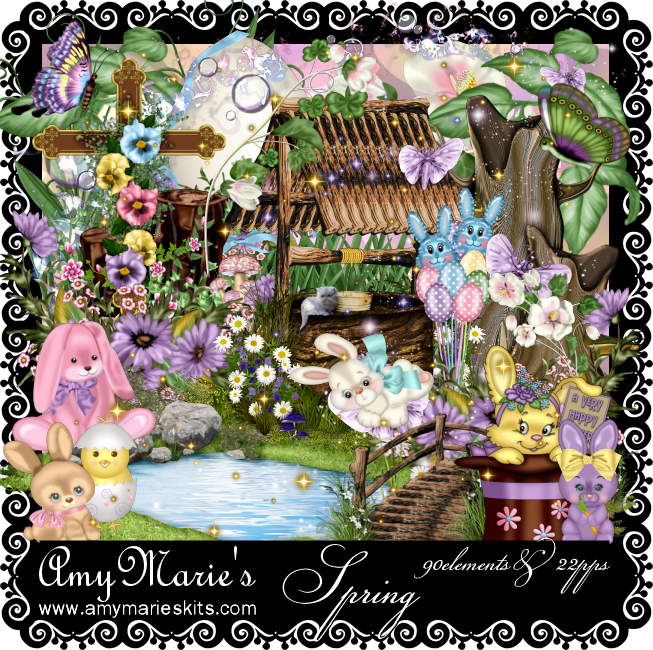 It is a gorgeous Spring/Easter kit that you will love. In gorgeous Spring pastel colors it is like 2 kits in one. You can create different tag styles with 1 kit & people will think you used 2 kits. The kit contains 22 papers & 90 elements.